Student education loans help millions of Americans attend college each year. It doesn't matter what your age, you can apply for a student loan. With more older adults going back to school, growing numbers of non-traditional students are looking for ways to finance their education costs. As programs sponsored by colleges continue to attract retired members of the community, post-secondary schools are becoming more aggressive at targeting older students. Today an increasing number of olleges and other institutions for higher learning find themselves revising educational programs and curriculums to meet the growing demand of senior students who have decided to remain in the job market beyond retirement age. There are several different types of student loans available to borrowers. Federal student loans like the Stafford loan allow students to borrow money at a low, fixed interest rate. While the federal government guarantees these loans, students must first complete and submit a FAFSA (Free Application for Federal Student Aid) form in order to be eligible to receive any type of federal financial aid. In addition to borrowing from the federal Stafford loan program, many older students are also applying for private or alternative student loans to help pay for tuition and other education expenses not covered by federal financial aid. Considering the rising cost of higher education, and because federal student loans have limits, many students find that they need to borrow additional money from a private lender. The major difference is that the federal government does not guarantee private student loans. Terms of private loans vary according to the lender, but a good credit history is usually required to qualify. When applying for a federal Stafford loan, review of a student's FAFSA form can take several weeks or even months. Loan disbursements go directly to the college. Payments are deferred while a student is in school. Private student loans require no collateral to secure the loan; however, students can borrow more than the loan limits allowed by federal student loan programs. In many cases, borrowers can apply online, and loan disbursements go directly to the student rather than to the school. Like federal student loans, repayment is deferred until six months after graduation. Other possible resources for funding continuing education include educational and adult learning grants, career development, employer tuition reimbursement programs, union scholarships for adult learners, graduate assistantships and educational benefits for veterans. 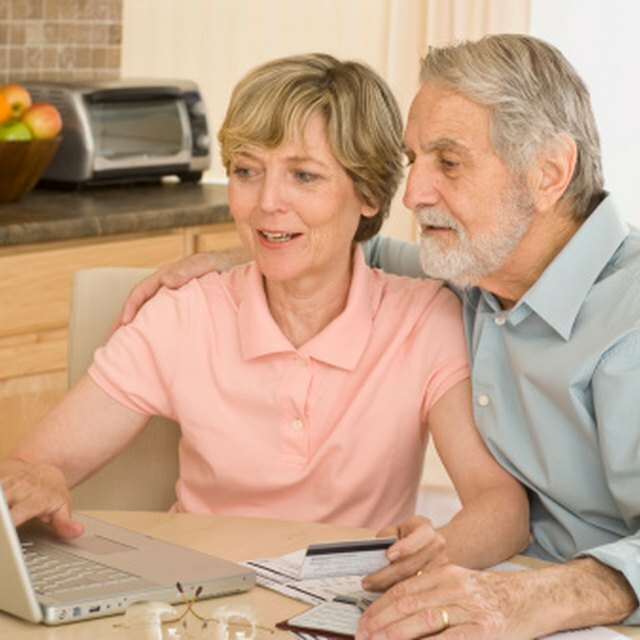 Financial aid is not necessarily difficult for an older adult to get. On the contrary, older students are often eligible for many different kinds of tuition assistance including student loans, university scholarships, and work-study programs. College is no longer for younger adults only, as there is no other place where age diversity is more evident than on the nation's college campuses. Since individual students' financial aid needs can differ, it's important to find out about all the options available to you regardless of your age. The amount of federal financial aid for which you might qualify is dependent on your need. A common feature of most student loans is the low interest rates, with federal student loans being the most affordable. If you qualify for a federal student loan, the government will pay the interest on the loan while you are in school. Consolidating your federal student loans after graduation can get you a single monthly payment and perhaps a lower interest rate. Education loans, including private education loans, currently allow for penalty-free prepayment. Obtaining a private education loan is another option for financing education. If you have a good credit history, you should be able to choose from among the best interest rates, as well as bargain for practical repayment terms. If you fail to repay a student loan, your credit rating may suffer and you can face other serious consequences. Individuals are considered to be in default of a student loan after missing just one or two payments, even if partial payments were made. Should sudden, unexpected debilitating illness strike, you may qualify to have repayment of your federal student loan cancelled. Keep in mind that interest accrued on loans while you are a student will be added to the principal balance at the time repayment begins. Older students who obtain a home equity loan to finance the cost of continuing education should remember that monthly loan payments will be due while you are in school. Unlike education loans, payments are not deferred until six months after graduation. However, a key advantage of applying for a home equity loan is to pay off a private education loan, especially one with a variable interest rate. You can use a home equity loan to lock in a fixed interest rate for the term of the loan. Just like their younger counterparts, concerns about how to finance a college education rank high among an older student's concerns about returning to school. College financial aid advisors recommend doing your homework thoroughly ahead of time. Determine how much money you are going to need to complete a program of study and then look into grants, student loans, and other ways to pay as you go. Since many older students do not want the worry of paying off a student loan afterward, it may be necessary to search for other options. There are a lot of scholarships out there that go unclaimed each year, and not all of them are based on academic performance. Older students often qualify to apply for scholarships based on their work experience, community service or gender. There are foundations, civic organizations, and professional associations and societies, which provide financial assistance to older adults seeking to complete a post-secondary education.